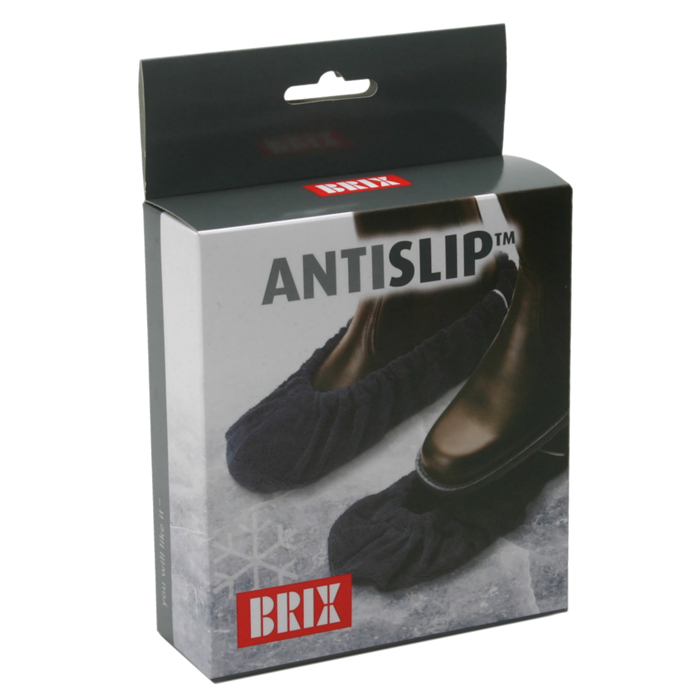 The Anti-Slip shoe covers are made of durable Microfibre (100% polyester). Microfibre has the special characteristic that its small fibres tightly adhere to the sole of your shoe, while at the same time produ-cing a high degree of friction - thus providing you with secure grip. The shoe covers are easy to put on. 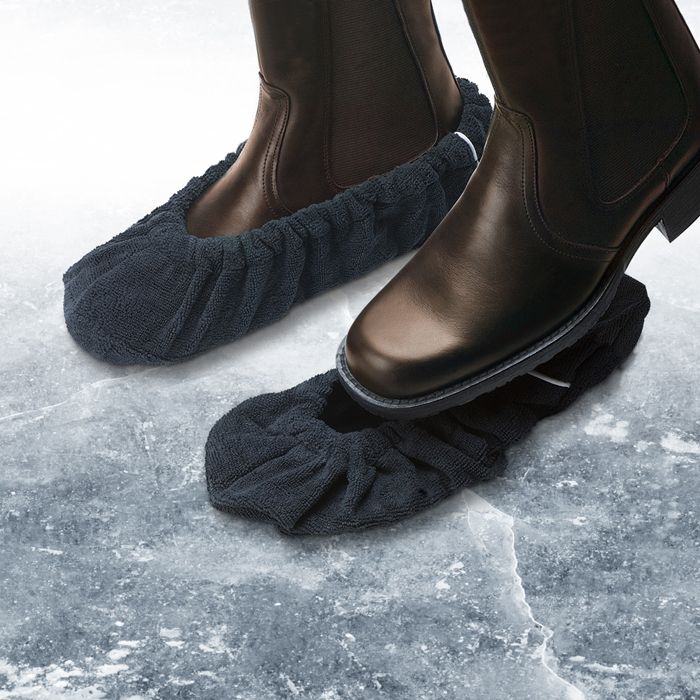 Greasy, snow-covered, slushy and shiny, icy surfaces can now be passed at normal walking speed, thus saving time and ensuring that the user safely reaches his/her destination. - Walk safely and securely at normal speed. - Can be used over and over. The Shoe covers are removed after use, wrung and hanged to dry - ready to be used again. The small microfibres also ensure quick drying. The Shoe covers can be washed at 30C. Tests show that the Shoe covers last for one season, depending on the number of kilometres, the person's weight, sharp stones and pebbles etc. The Shoe Covers come in two sizes: Size Regular fits shoe sizes 33 - 42 and Large fits shoe sizes 43 - 46.